The village of Mellieha is located on the northwest side of Malta. 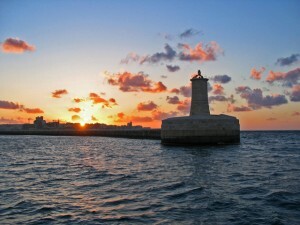 Approaching Mellieha from the sea is often described as a ‘breathtaking’ experience. The village is elegantly designed to perch atop a picturesque hilltop and flows almost seamlessly to the crystal blue waters and white sand beaches. Most of the hotels in Mellieha are along the beaches or a short distance away. Mellieha Bay boasts the largest beach on the Maltese Islands. Because of the way the beaches gently slope out into the crystal clear blue of the Mediterranean Sea, Mellieha is a favourite destination among families for their Malta holidays. Shallow waters with no dangerous undercurrents provide a safer environment for families with small children. On any given day, a number of youngsters can be spotted splashing through the waters with parents keeping watch nearby. This atmosphere creates a great family holiday in Mellieha Malta. A wide variety of restaurants provide Mellieha’s tourists and residents the opportunity to sample cuisine from around the world. Of course some restaurants offer up dishes specific to the Mediterranean, while others specialise in different tastes. The promenade boasts several cafes overlooking the harbour. Most of Mellieha’s restaurants are very child-friendly, and servers often go out of their way to entertain children. Mellieha offers something for everyone. Many five-star resorts and hotels in Malta provide breathtaking views stretching out over the Mediterranean or across the landscape of the island. Available rooms vary based on the tourist’s needs. Some of the Mellieha hotels are booked up to a year in advance as people return for their holidays in Mellieha. A new trend in island accommodation is the rental of privately owned holiday villas and apartments. Renting a privately owned property often gives the tourist an entirely new holiday experience. Privately owned rentals are often full-size, self-catering villas or apartments with multiple bedrooms and a kitchen. Although most are very near the beach, some offer the additional privacy of a private pool. What better for holidaymakers after their Malta flights to be able to relax by the side of their own private pool? Some of the most amazing architecture on all of Malta can be found in Mellieha. In the late 16th century, the original Marian shrine “Sanctuary of Our Lady of Mellieha” was constructed. The church contains a Byzantine-style painting of the Virgin Mary with Christ on her right arm. Recent studies have shown it was painted in the 13th century. Because of Mellieha’s growing population, the church has expanded several times. Its roofed veranda is said to be an excellent example of 17th century Renaissance architecture. The village of Mellieha holds many architectural surprises. Landscaping throughout the village is as bright and vibrant as the village itself. Native trees and flora decorate sitting areas overlooking the Mellieha Bay. 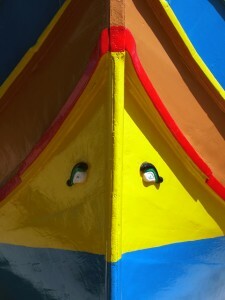 The bay is often occupied by fishermen and brightly coloured boats. Rural walkways and trails are also lined with beautifully landscaped gardens and stone walls. Popeye Village, a short drive from the beach, is one of Mellieha’s most popular family attractions. 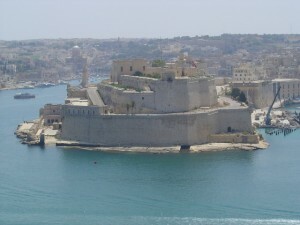 The filming of the 1980 film Popeye provided Mellieha and Malta with an enduring opportunity to entertain future tourists. The set was built using thousands of wooden planks, more than 8 tons of nails and 2,000 gallons of paint. Popeye Village is now home to daily Popeye-related shows and a must-see for families with small children; or even adults who grew up enjoying the adventures of Popeye the Sailor. Comino and Gozo are two smaller islands just to the northwest of Malta. Gozo is 67 square km with a coastline of 43 km. The ferry trip from the port in Mellieha to Gozo takes about 30 minutes. Gozo is most notably known for its mountains, archaeological finds and ancient structures. A number of natural caves can also be explored throughout the island, and many visitors during their holidays in Malta take a day trip to the islands.